I don’t have a lot of romantic notions about camping — except when it comes to Annabelle. I’d like to think that she’ll look back on our trip last week as part of the Summer She Turned 9 — the summer she danced with her Gaga, performed in a play version of “Diary of A Wimpy Kid” and went to the beach with her cousins for the umpteenth time. The summer she went to Yellowstone. I imagine her collection of memories: Searching (in vain) out the window of her daddy’s giant truck for grizzly bears, then watching as buffalo practically brushed up against the windows during a late afternoon traffic jam. 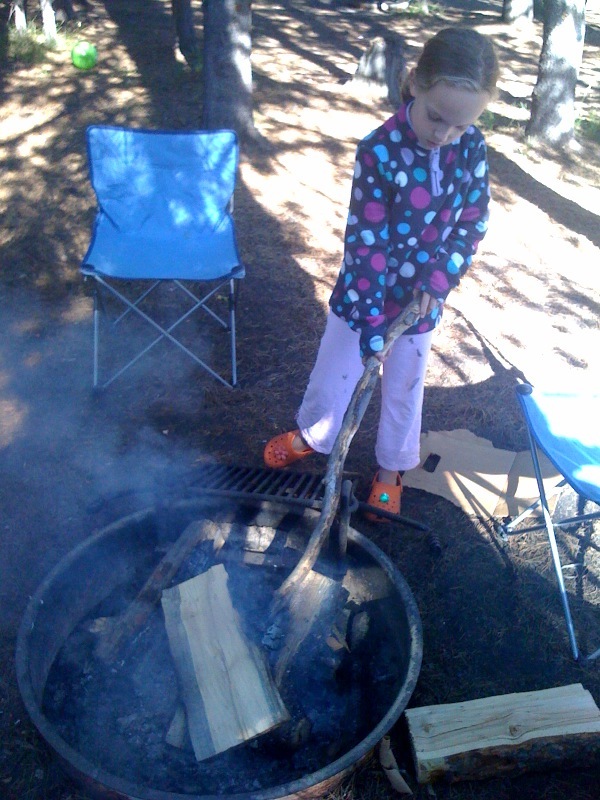 The stink and gurgle of those weird “thermal features.” Learning to stoke the campfire and put up the tent. Doubling over in giggles with her mom when her little sister Sophie asked a forest ranger for “extra towels” and pretending to be Olivia the Pig in order to coax that darn Sophie to do everything from get out of the truck to pick up her feet and hike. Freezing in the tent at night, listening to the wind come up and the air come out of her poor dad’s mattress — and to her mom snoring. Looking at the stars, watching movies on the iPhone, making up family versions of the Double Rainbow Song. And Margaret. I bet she’ll remember Margaret. For all her smarts, up to now Annabelle’s not been a huge reader — not in a can’t-put-that-book-down way. Not until Margaret. I read Judy Blume’s “Are You There God? It’s Me, Margaret” when I was in fourth grade (or maybe third) but it didn’t occur to me that Annabelle was ready for it until a dear friend warned me her own daughter had just finished it and might start chatting with Annabelle about periods and boys. I packed a copy of the book in Annabelle’s little pink backpack, along with her Nintendo DS and “Spesh” and “Ella,” her security blanket and stuffed elephant. She devoured it. At one point I had to warn her to slow down, that she’d run out of reading material while we were camping (one of my own personal fears). But as it was, her timing was perfect: Annabelle finished Margaret on the last morning we camped — sunk into a folding camp chair, orange Croc-ed ankles crossed daintily, dangling inches from the ground. Annabelle turned the last page and heaved one of those great big satisfied sighs you sigh when you’ve finished the greatest book you’ve ever read, and I immediately thought about which Judy Blume to give her next: “Otherwise Known as Shelia the Great” is probably too young. I’m not ready myself for “Then Again, Maybe I Won’t.” Perhaps “Deenie”? It’s a delicious debate. But I’m glad I didn’t have any other books with me; it was nice for Annabelle to spend some time reflecting with Margaret. Frankly, I can’t think of a better confidant. Lovely post. It truly captures the angst we, as parents (or is it moms? ), put ourselves through, and then after the fact, realize the kids often find the best solution on their own. The whole “god” thing resonates with me, as I too struggle with how to respond to my childrens’ questions about traditional religions, god, etc. I was just thinking about this book the other day. I was wondering if girls today wonder about the “belts” they talk about in this book and if that kind of thing makes it difficult for our daughters to get into. I also recently re-read “Then Again, Maybe I Won’t” and am ready to leave it for my boy to read. this might be my favorite post yet. 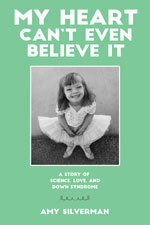 as a kid, i couldn’t get enough of judy blume. the danielle steele bit made me laugh out loud. i don’t think i’ve told you this amy, but i grew up without a TV, on a farm, in the middle of nowhere. reading & music were the things i grew to love from an early age on. you name it, i read it. my friends and i would do dramatic things of this sort….centered around a book. Next: Stop This Merry Go Round!